The year was 1789. 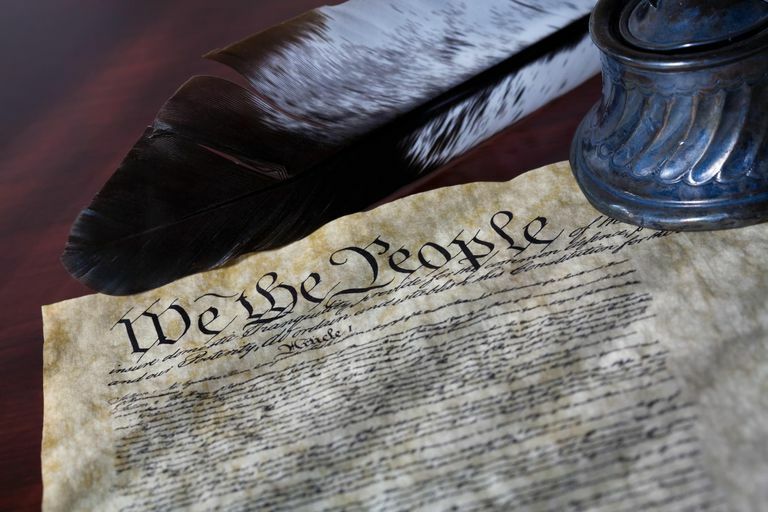 The U.S. Constitution, which had recently passed Congress and been ratified by a majority of states, established the U.S. government as it exists today. But a number of thinkers of the time, including Thomas Jefferson, were concerned that the Constitution included few explicit guarantees of personal liberty of the sort that had appeared in state constitutions. Jefferson, who was living abroad in Paris at the time as U.S. ambassador to France, wrote to his protege James Madison asking him to propose a Bill of Rights of some kind to Congress. Madison agreed. After revising Madison's draft, Congress approved a Bill of Rights and ten amendments to the U.S. Constitution became law. The Bill of Rights was primarily a symbolic document until the U.S. Supreme Court established its power to strike down unconstitutional legislation in Marbury v. Madison (1803), giving it teeth. It still only applied to federal legislation, however, until the Fourteenth Amendment (1866) extended its power to include state law. It's impossible to understand civil liberties in the United States without understanding the Bill of Rights. Its text limits both federal and state powers, protecting individual rights from government oppression through the intervention of federal courts. The Bill of Rights is made up of ten separate amendments, dealing with issues ranging from free speech and unjust searches to religious liberty and cruel and unusual punishment.